MEDIA ADVISORY: HIP HOP GENERATION LEADERS JOIN SYBRINA FULTON, MOTHER OF TRAYVON MARTIN, & OTHERS FOR NATIONAL VIRTUAL TOWN HALL TO DISCUSS LONG-TERM RESPONSE TO ZIMMERMAN VERDICT - RESPECT MY VOTE! A recap of this event is now available here, including full audio and audio clips. WHAT: The Hip Hop Caucus has defined a long-term organizing plan in response to the outcome of George Zimmerman’s trial for killing Trayvon Martin on February 26, 2012. During this Town Hall, the agenda and organizing plan, (posted at www.respectmyvote.com/travyon), in response to Trayvon Martin’s story, will be discussed and next steps for participants will be provided. Sybrina Fulton will discuss the Trayvon Martin Foundation’s next steps, and a representative from the Dream Defenders, who are currently conducting a sit-in of Florida Gov. Rick Scott’s office, will also provide updates. WHERE: This Virtual Town Hall will take place over the phone. To receive call-in instructions, register for the Town Hall at www.respectmyvote.com/trayvon. Media register as press on the registration form. About Hip Hop Caucus (www.hiphopcaucus.org): Formed in 2004, the Hip Hop Caucus (HHC) is a non-profit, non-partisan organization that leverages Hip Hop culture to encourage young people to participate in the democratic process. Through a collaborative leadership network, HHC addresses core issues affecting underserved communities. HHC programs and campaigns support solution-driven community organizing led by today’s young leaders. 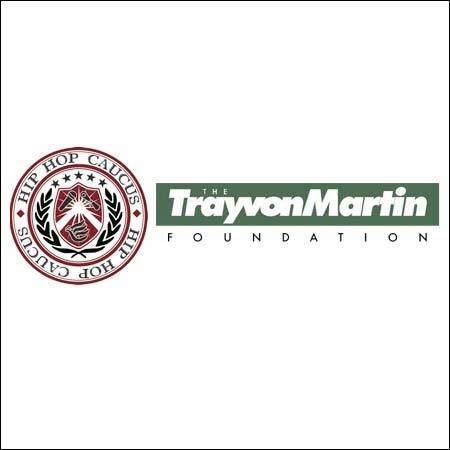 About the Trayvon Martin Foundation (www.trayvonmartinfoundation.org): The Trayvon Martin Foundation was established by Sybrina Fulton and Tracy Martin in March 2012. The scope of the Foundation’s mission is to advocate that crime victims and their families not be ignored in the discussions about violent crime, to increase public awareness of all forms of racial, ethnic and gender profiling, educate youth on conflict resolution techniques, and to reduce the incidences where confrontations between strangers turn deadly.